For more than 30 years, Advanced Conversion Technology (ACT) has been a partner with the American military and its network of defense contractors. We are a leading manufacturer of the military-grade power supply modules that run critical electronics in Naval ships, multi service aircraft and ground vehicles. Our rugged power supply systems are durable enough to withstand the rigors of any military environment, while remaining affordable for even the most budget-conscious of organizations. MIL-STD-810 standards for environmental design. A MIL-STD-810 power supply must be tested and confirmed to withstand high altitude, low pressure situations, prolonged exposure to high and low temperatures, sudden temperature shifts, rain and humidity, sand and dust, random vibration, and a host of other adverse conditions. MIL-STD-461 standards for electromagnetic interference. A MIL-STD-461 power supply must undergo testing in a specially shielded chamber to confirm it will operate properly when installed in conditions where electromagnetic and radio frequency interference is present. ACT has the capability in house to do pre-compliance for CE101 and CE102 thus increasing the first time passage at a certification house. MIL-S-901 standards for high impact shock. A MIL-S-901 power supply is categorized by grade, class and type, according to its necessity for the safe operation aboard a ship, how and where it is mounted, and whether it is a principle, subsidiary or subassembly component. For reliable, stable performance, count on a military-grade rugged power supply that has been tested to any of the above standards. For more information about individual military standards or the revision level of the standard you need, keep browsing our webpage or contact one of our engineers directly. Military standards for environmental conditions are only useful if they are tested in facility you can trust. At ACT, our vertically integrated manufacturing facility reduces the risk of error during this critical process by allowing our team to do everything under one roof, ensuring product will be successfully tested at a certified laboratory. 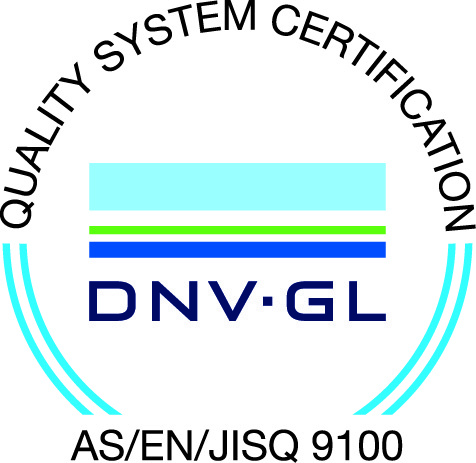 Our quality management system is certified to AS9100D and ISO 9001:2015, and all workmanship is completed to applicable IPC/EIA J-STD-001, MIL-HDBK-454 and IPC-A-610 guidelines. We also have strict supplier policies in place with regards to both conflict minerals and counterfeit materials. Quality awareness instruction is a regular part of staff training at ACT. By making quality control a pivotal part of our company culture, and giving team members access to the tools they need to do their jobs properly, we ensure that employees are invested in our goal to deliver more reliable and durable military-grade power supply products. ACT products include AC-DC and DC-DC power supplies in a variety of sizes and input/output configurations. Our products bridge the gap between custom and commercial-off-the-shelf, offering ample opportunities for modification with a lower cost and shorter lead time. We can design what you need, whether it’s high or low voltage, rack mounted or bench top, or ruggedized for use in the most demanding applications. Features such as remote on-off control, short circuit, reverse polarity and overload protection, and many additional features add to the versatility and functionality of our military-grade power supplies. For more information about our manufacturing and testing capabilities, contact Advanced Conversion Technology today.